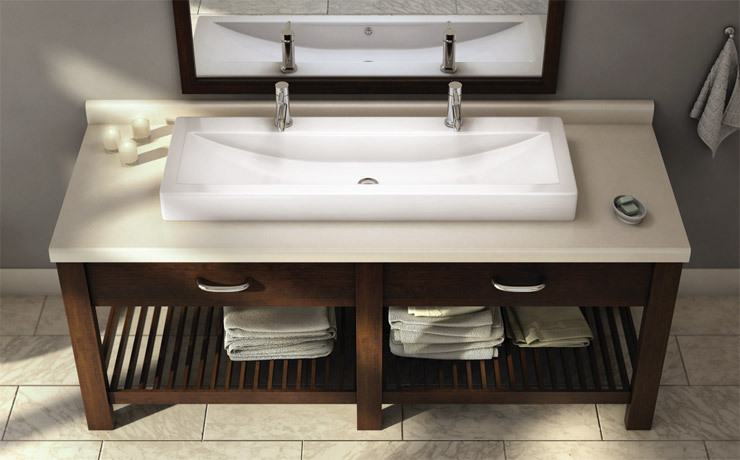 This collection fits beautifully with our contemporary-style products. 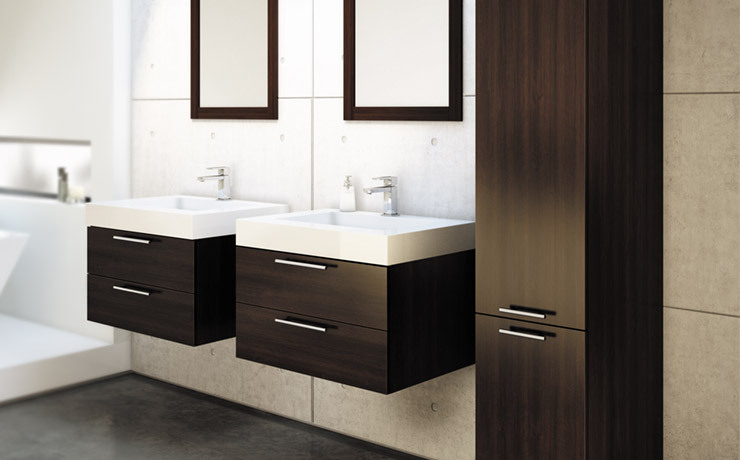 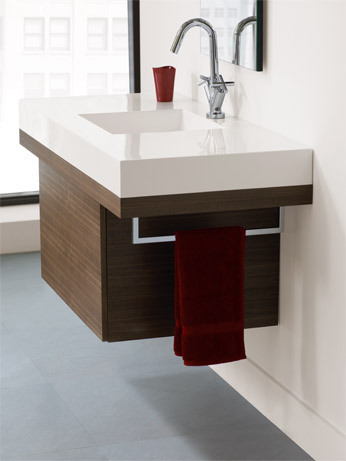 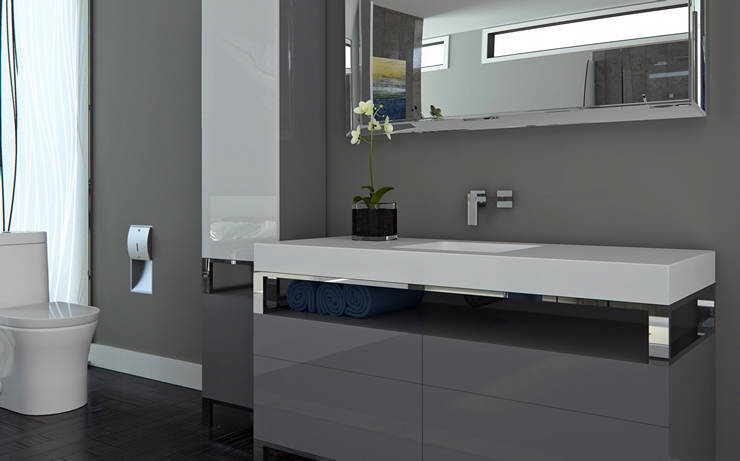 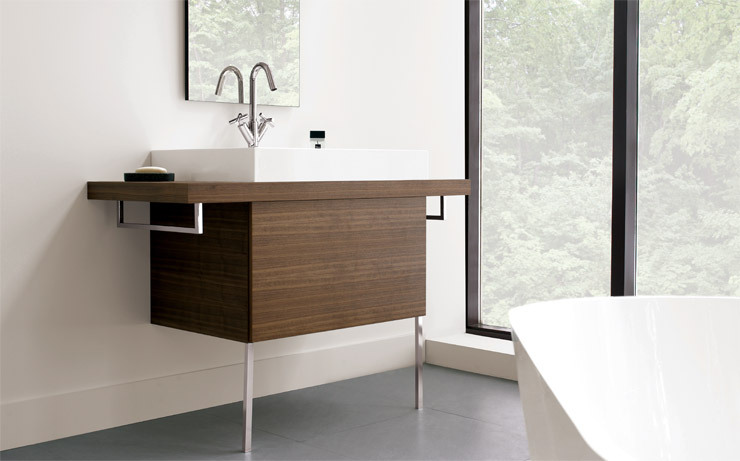 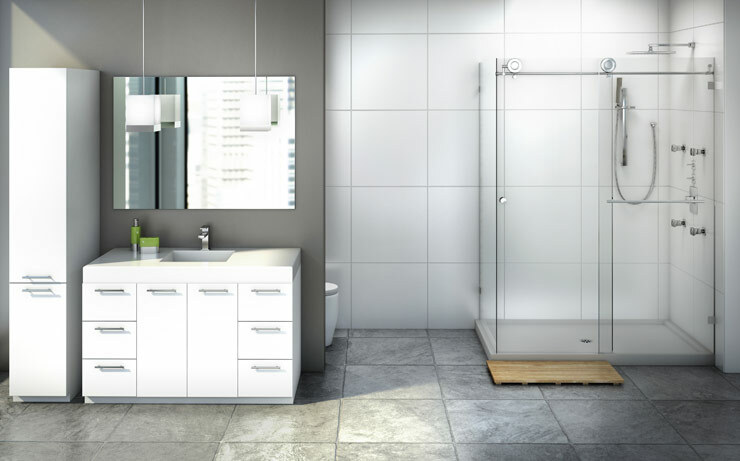 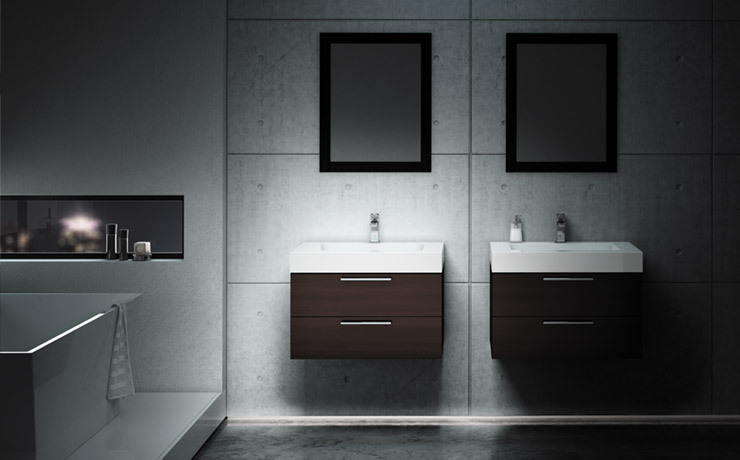 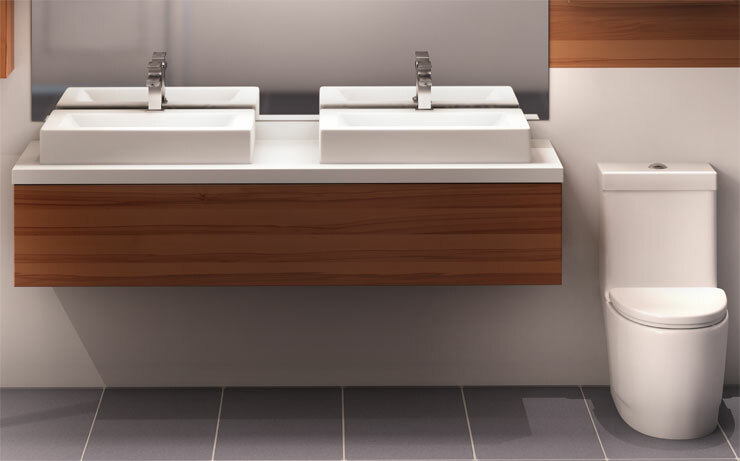 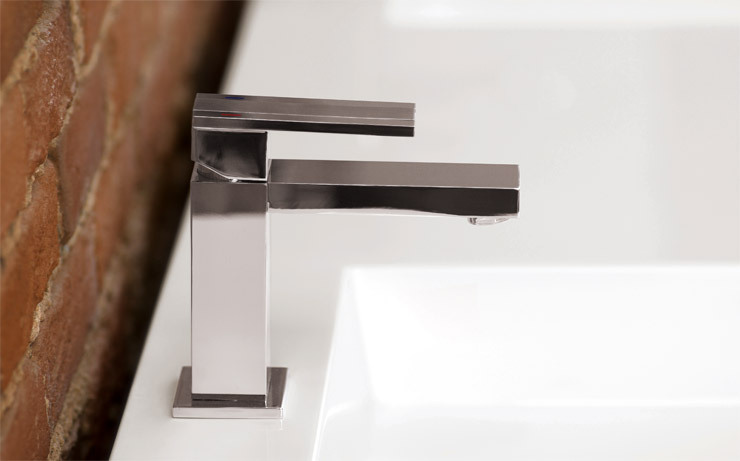 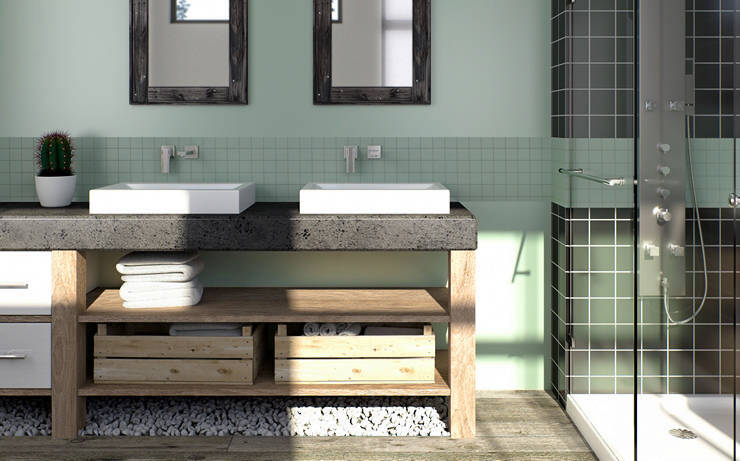 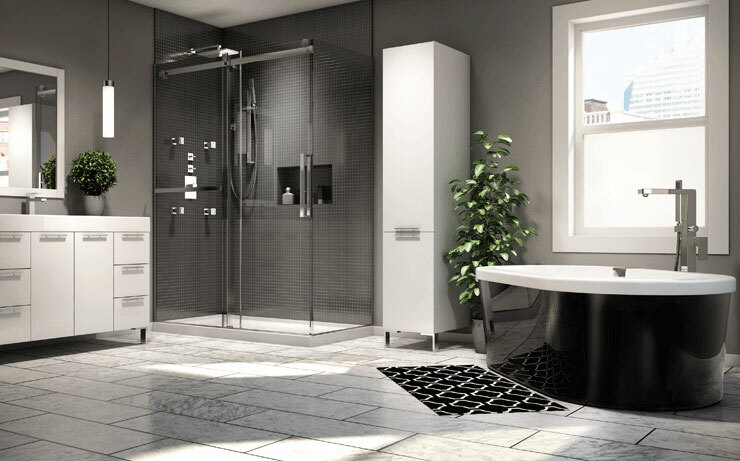 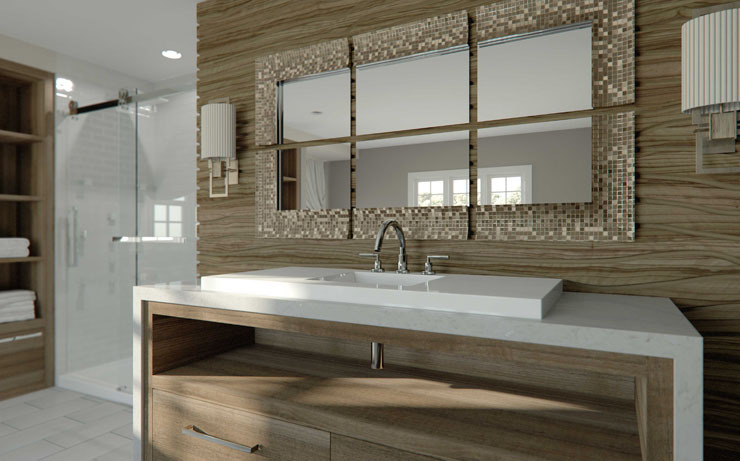 With simple, pure and geometric lines, these modern and practical vanities will add the final touchto your bathroom decor. 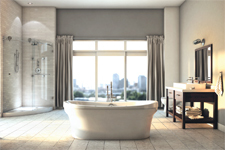 The Vapora podium suite creates a soft environment inspiring relaxation. 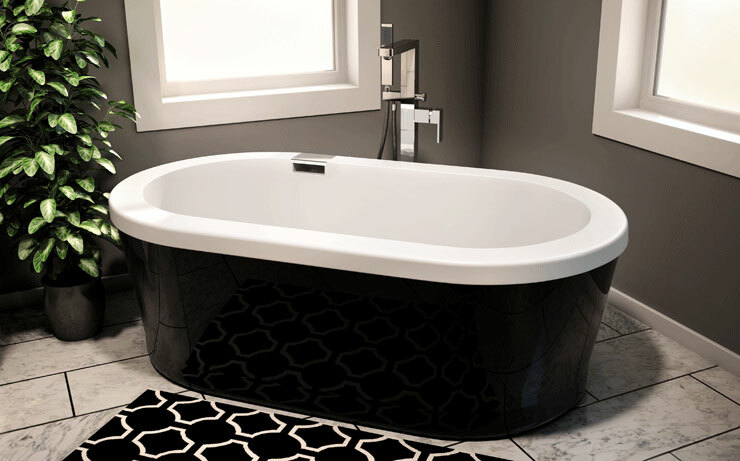 An oval bathtub that hugs the body well. 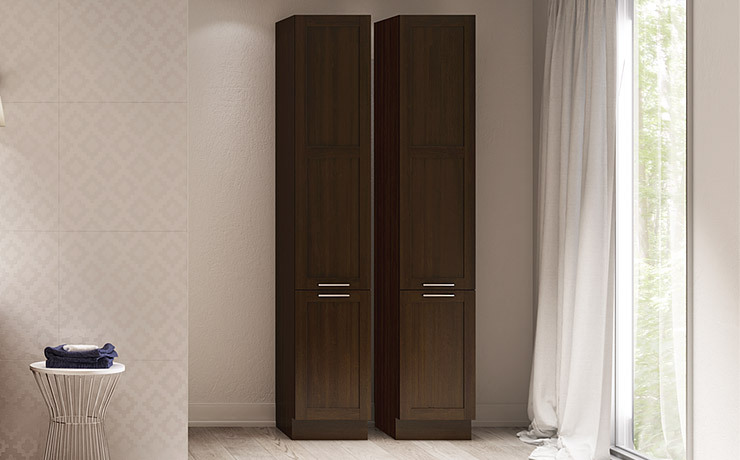 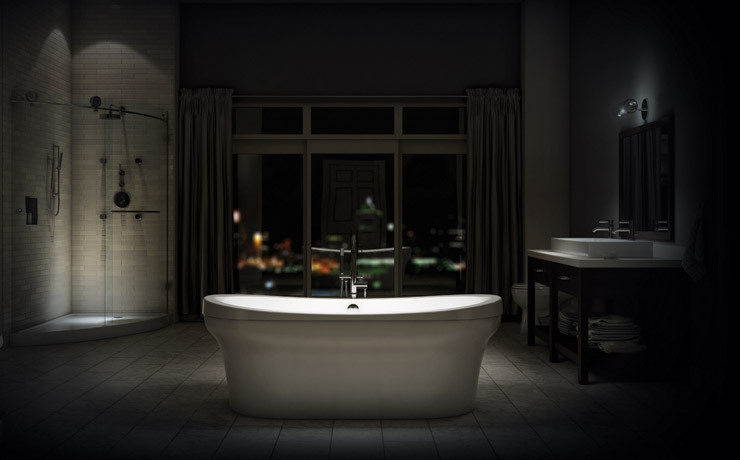 The Vapora F1 suite in timeless design provides for a relaxing ambiance. 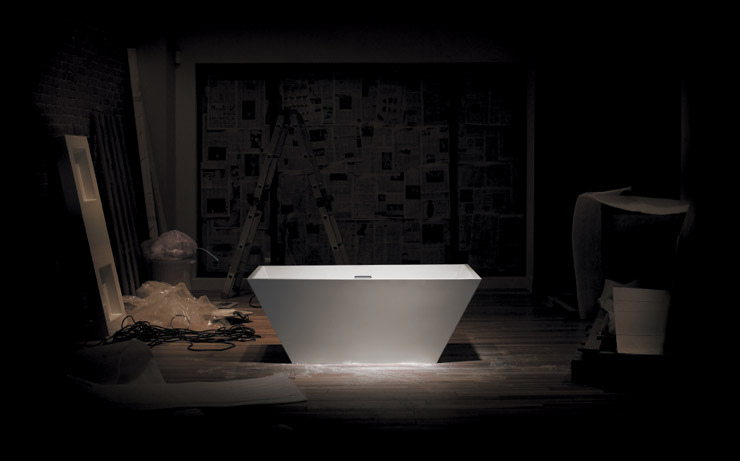 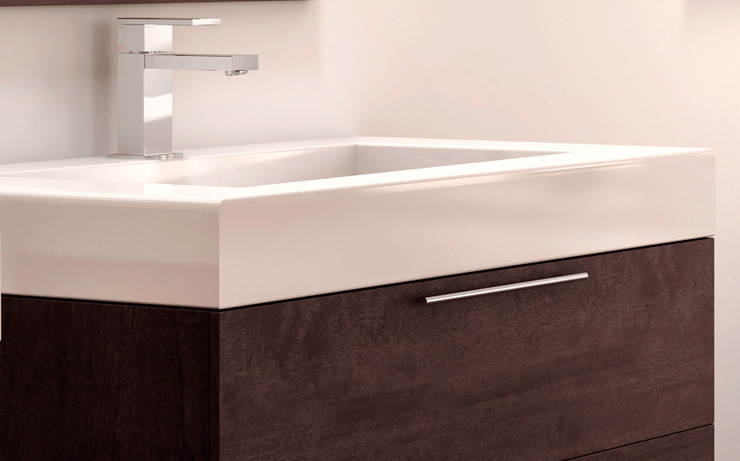 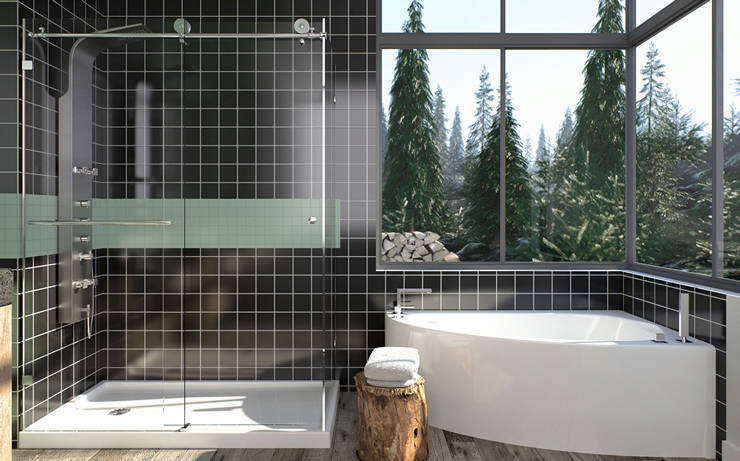 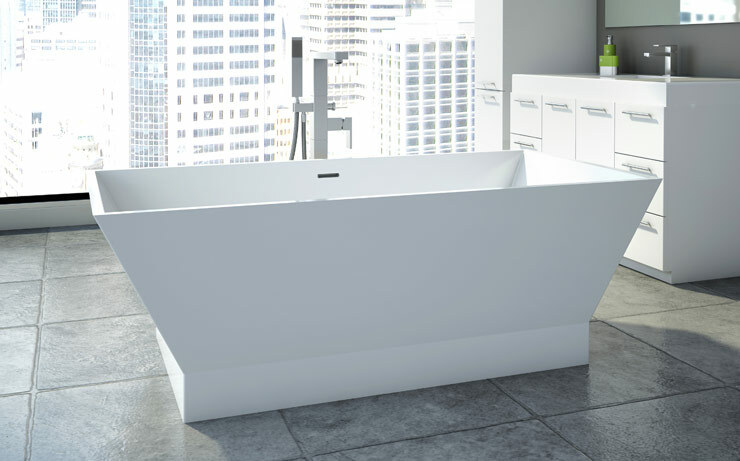 The simplicity of the Vapora F1 bathtub makes it the perfect complement to your decor. 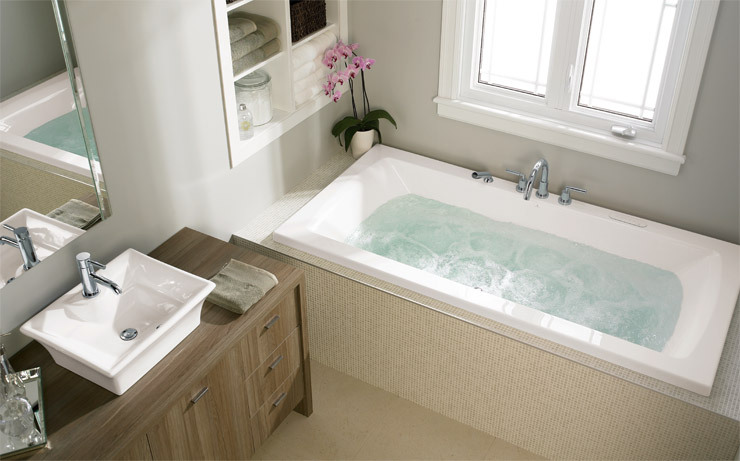 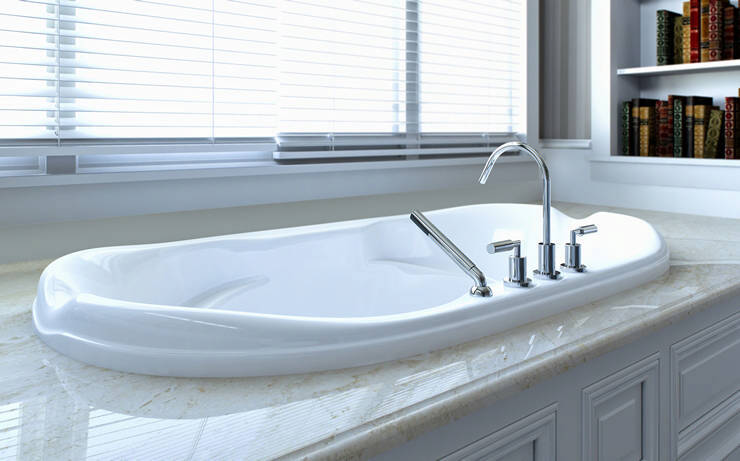 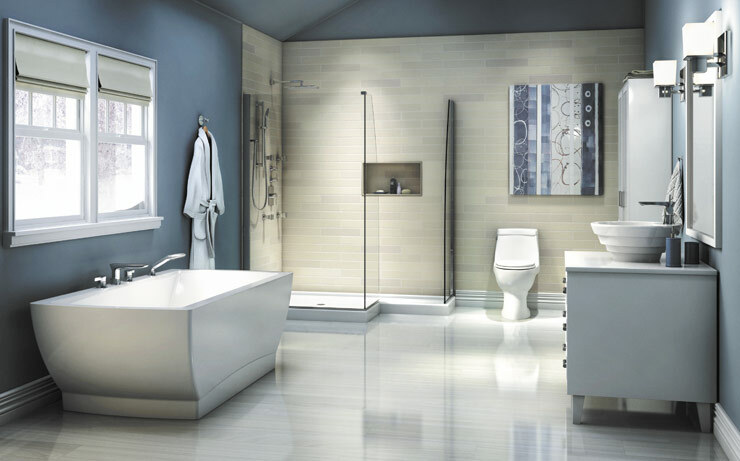 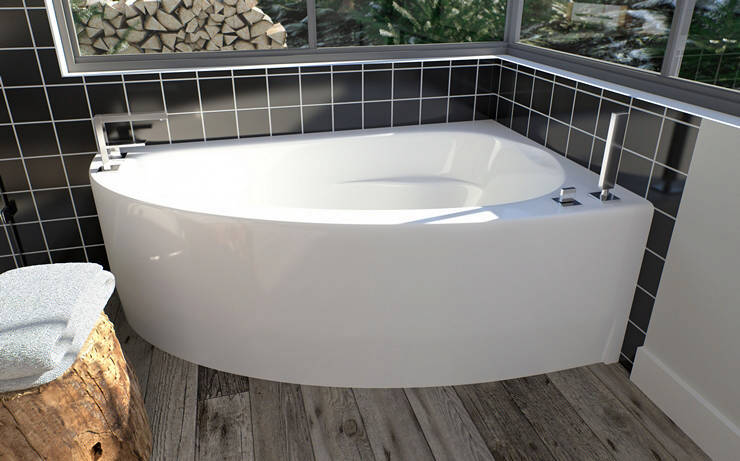 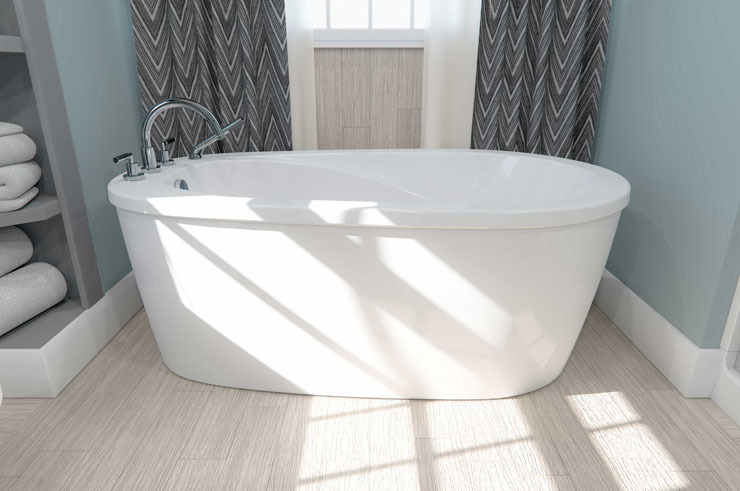 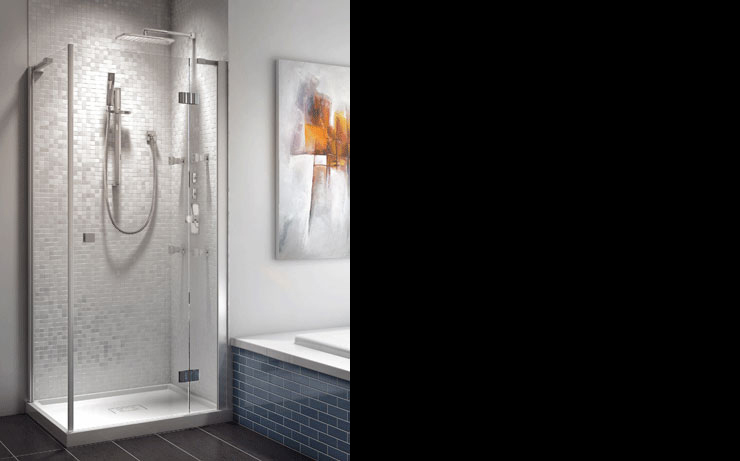 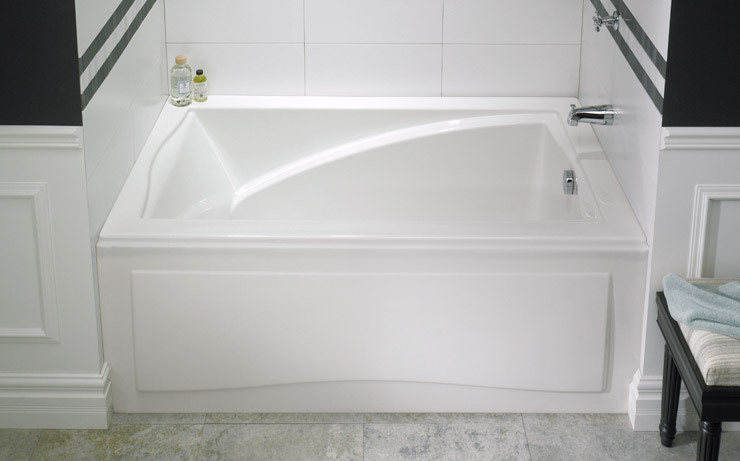 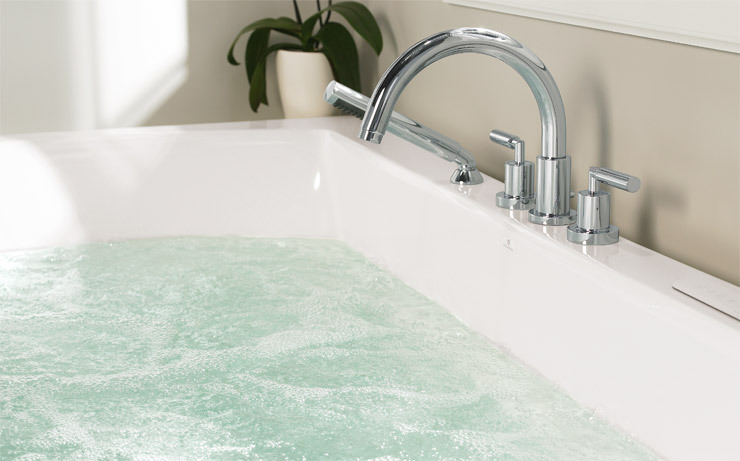 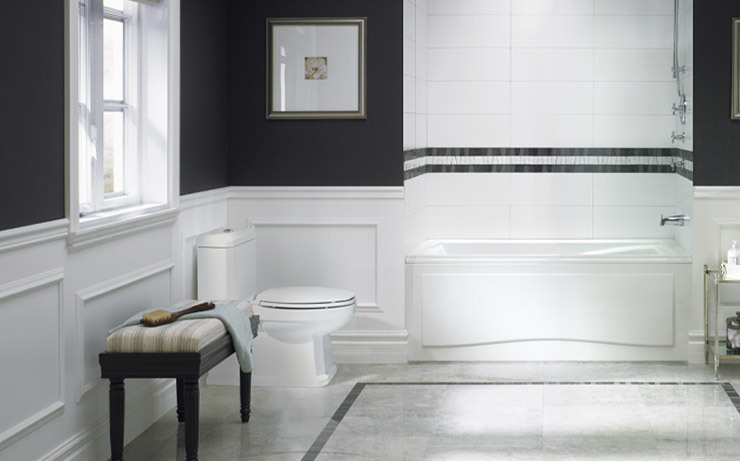 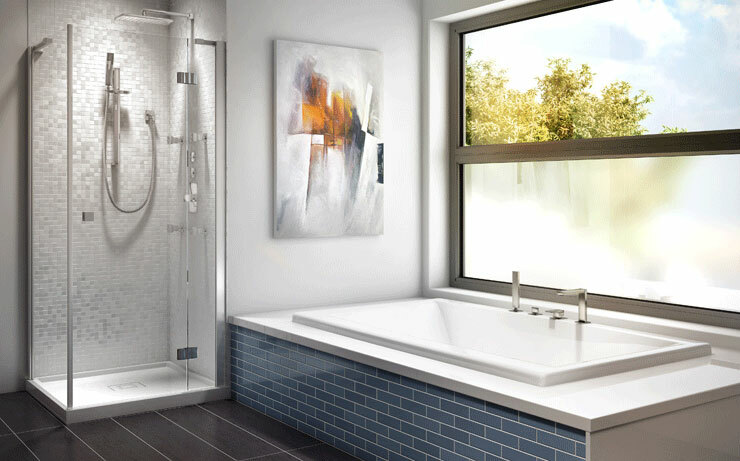 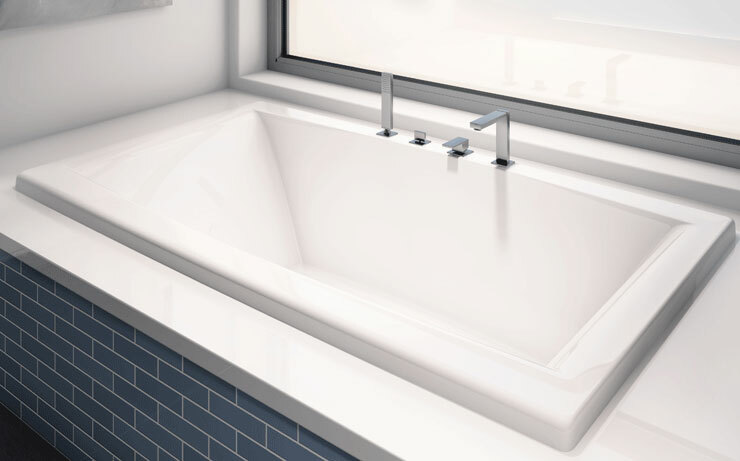 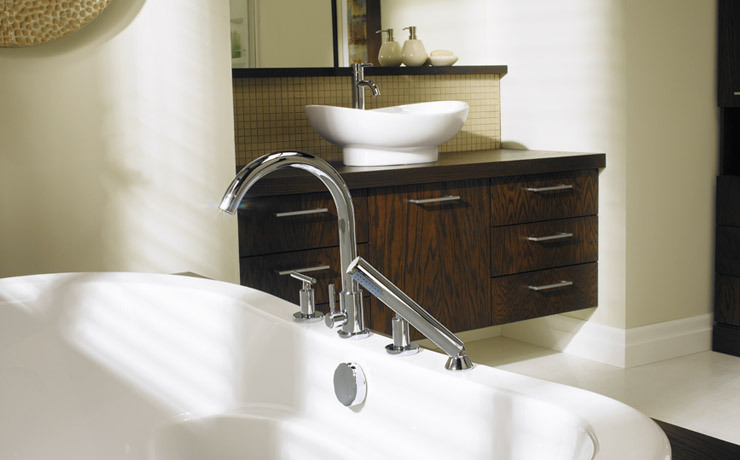 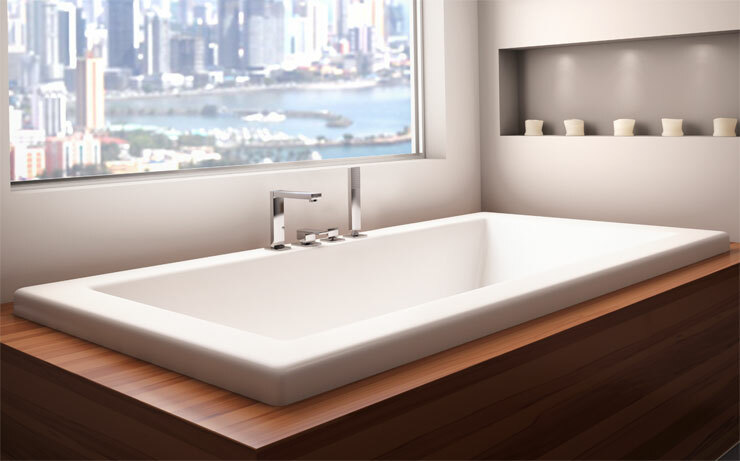 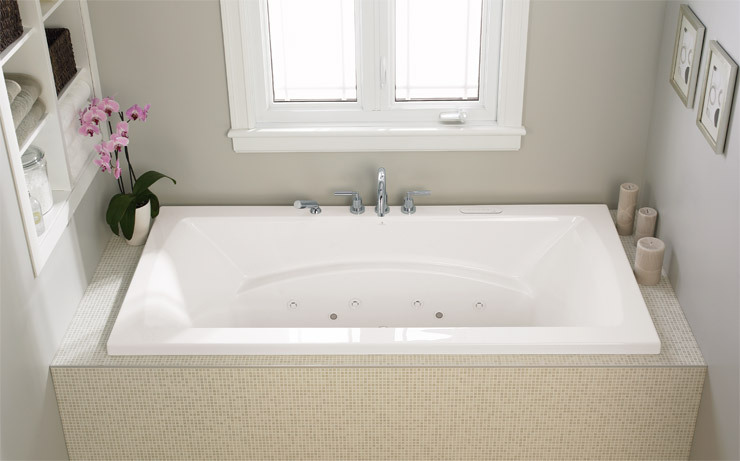 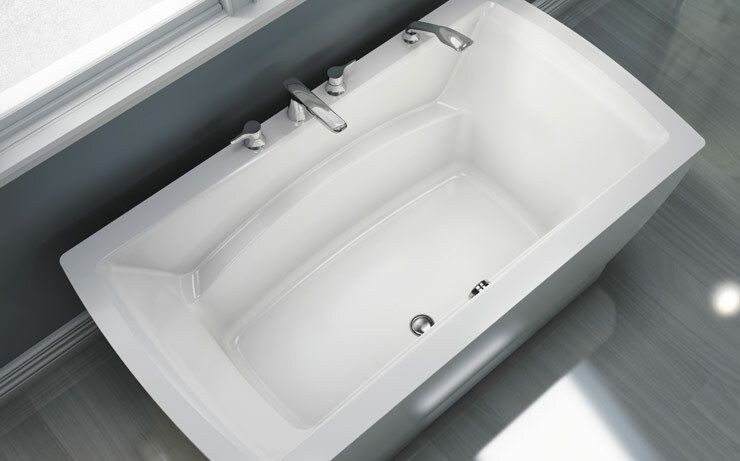 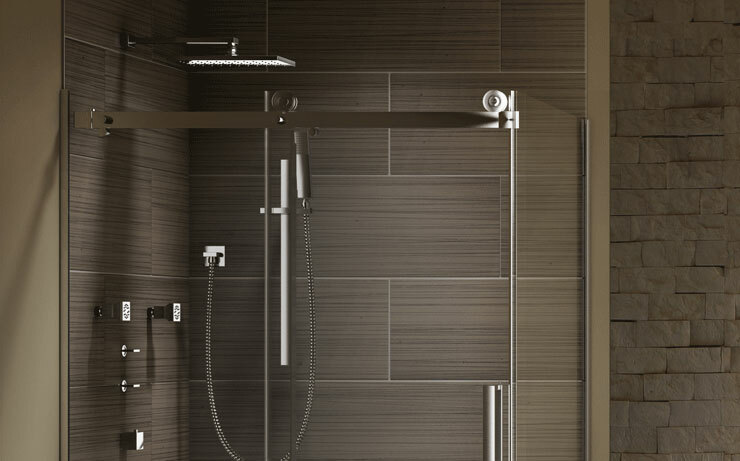 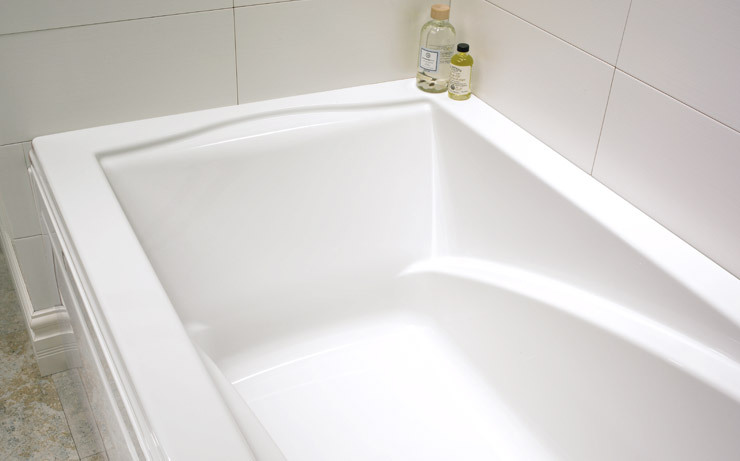 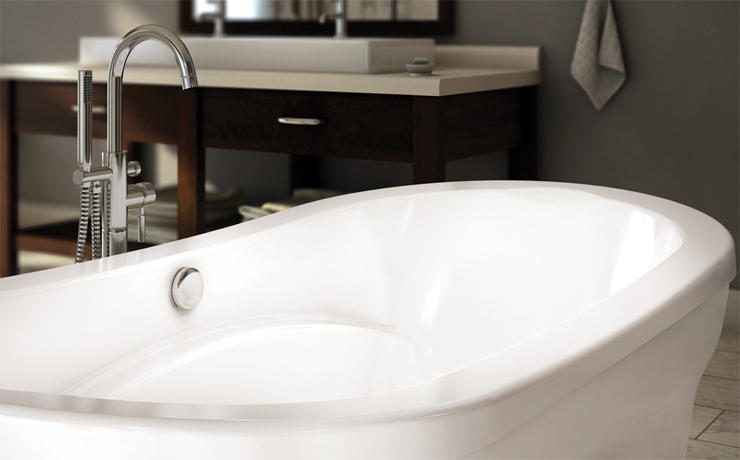 The transitional style Vapora F2 bathtub is ergonomic, current, and comfortable. 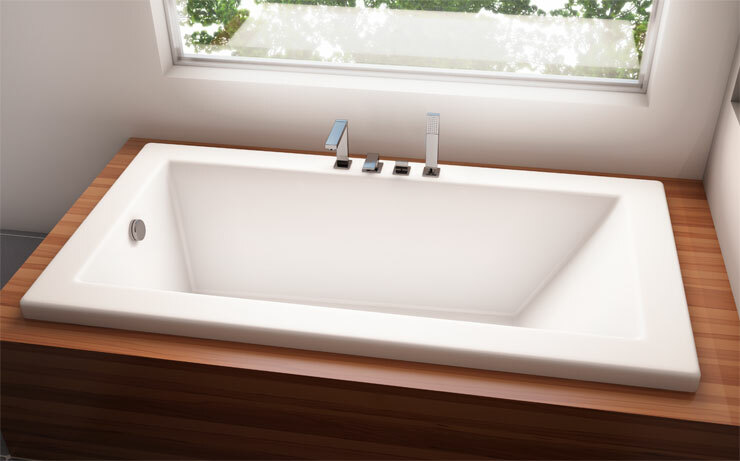 In this suite, Vapora F2 offers soft and enveloping lines. 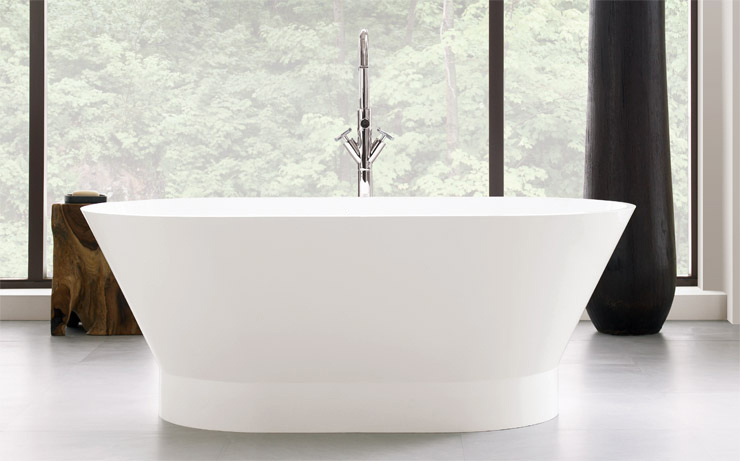 The Wind ensemble provides contemporary organic elements perfect for the me-time you cherish. 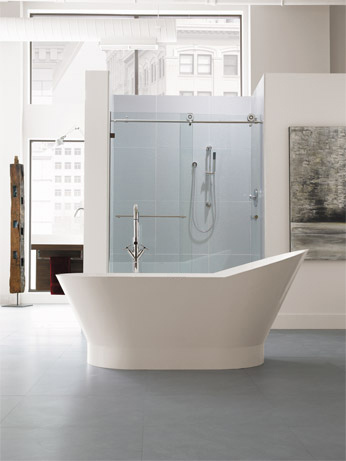 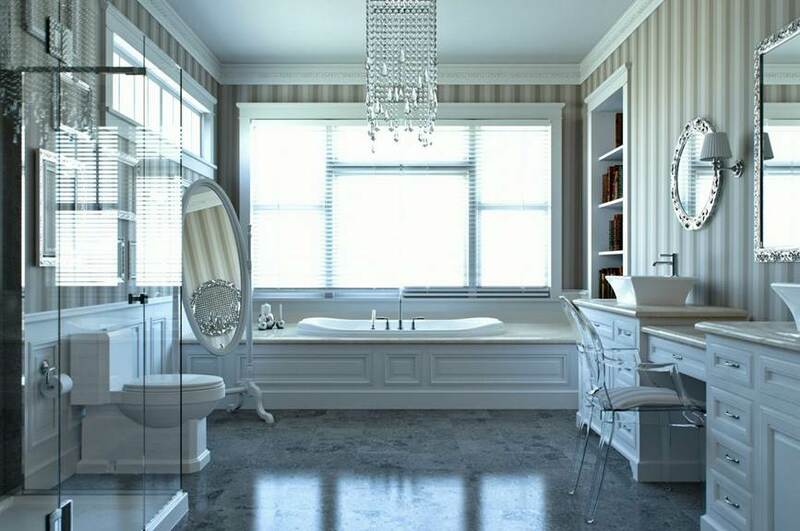 This inviting corner bathtub with a rounded skirt saves space in your bathroom while offering a unique design signature. 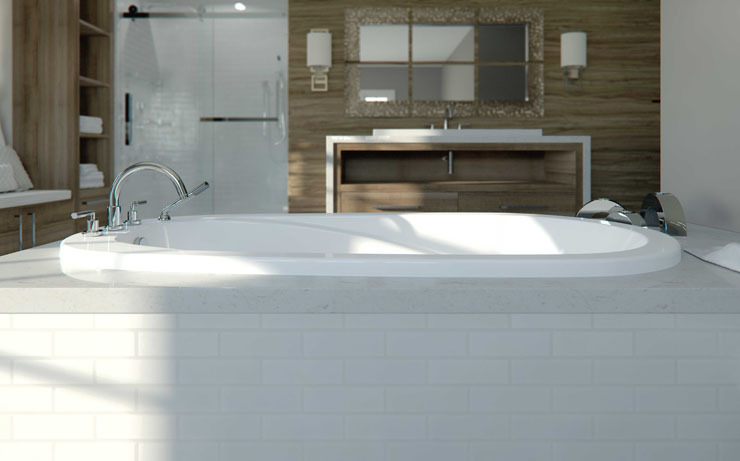 Less is more with the modern streamlined Zora ensemble, conducive to relaxation and escape. 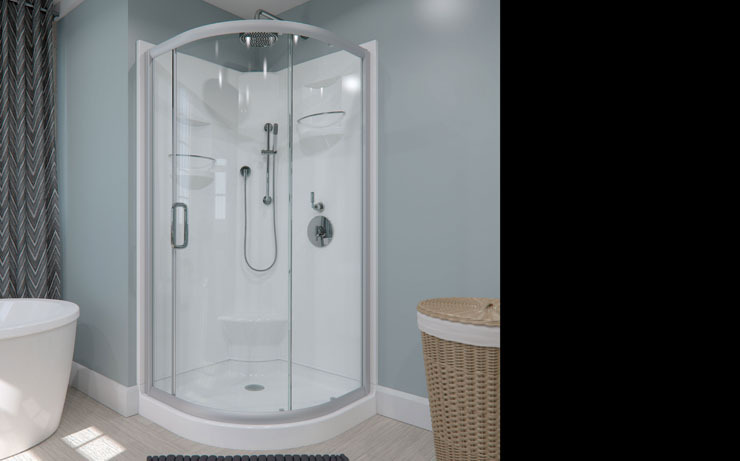 A timeless classic, the Elysee ensemble takes you under its spell, offering cocoon-like protection from the outside world. 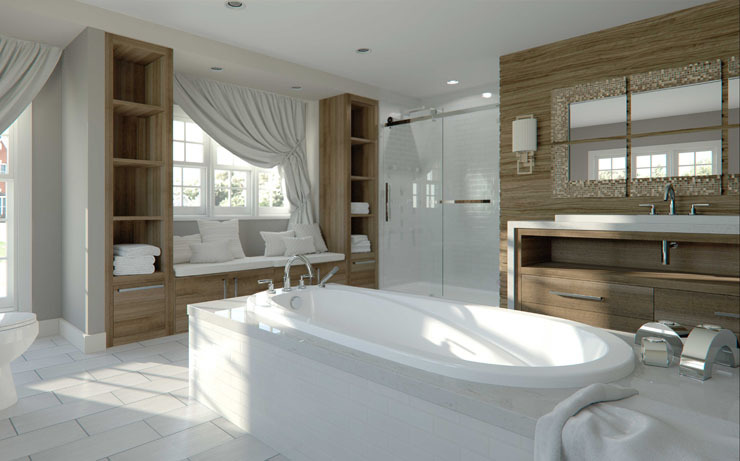 The modern and elegant Ametys suite evokes an atmosphere of peace and harmony. 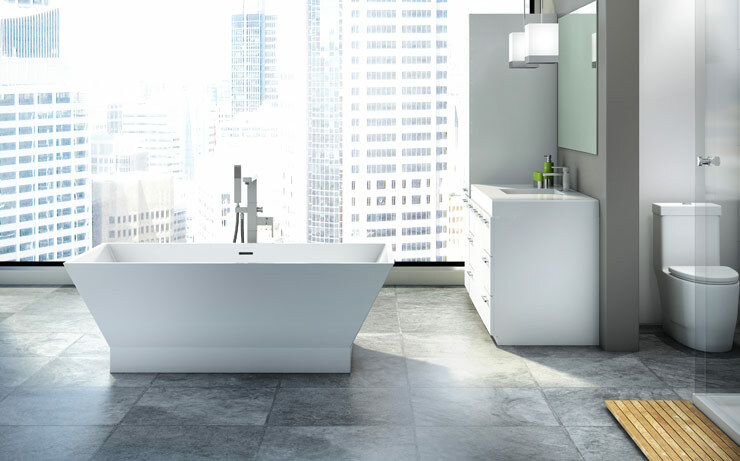 Modern to the core with accentuated angles and perfect symmetry, the WISH R1 suite consists of the elements that make up an ultra-modern decor. 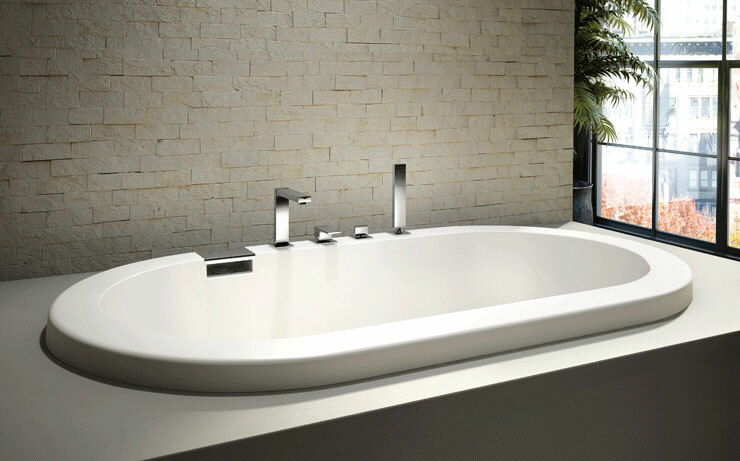 The WISH O1 suite finds inspiration in its all-polymer oval bathtub with curved lines that comfortably embrace the body. 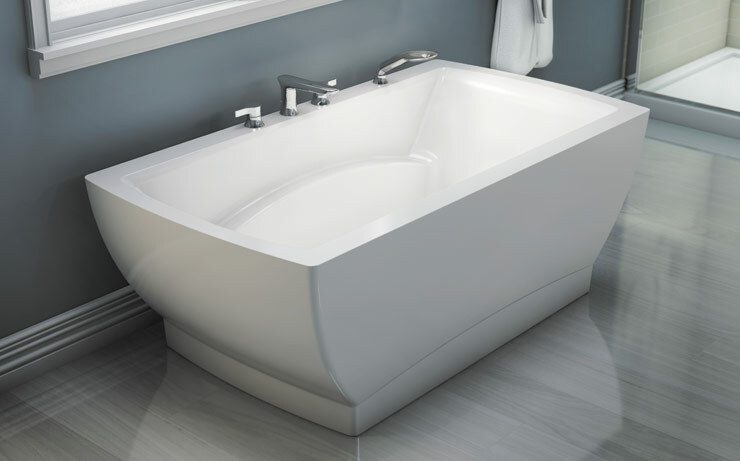 Endowed with fluid contours and an enveloping raised backrest, the WISH O2 bathtub is the focal point of a suite with a remarkable paradox: solid and massive, yet light and elegant. 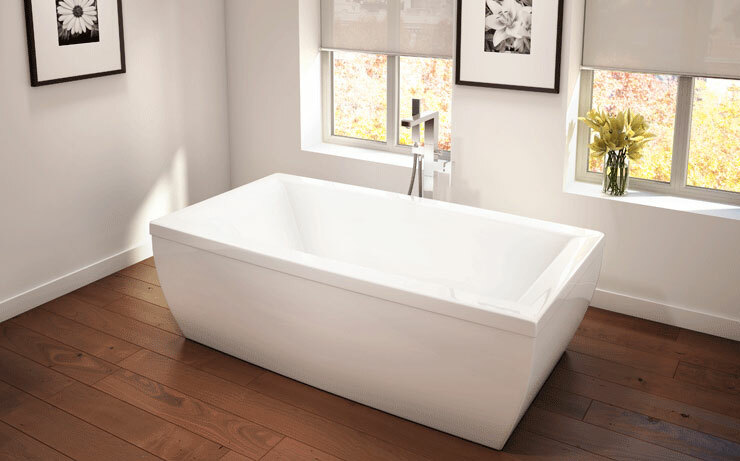 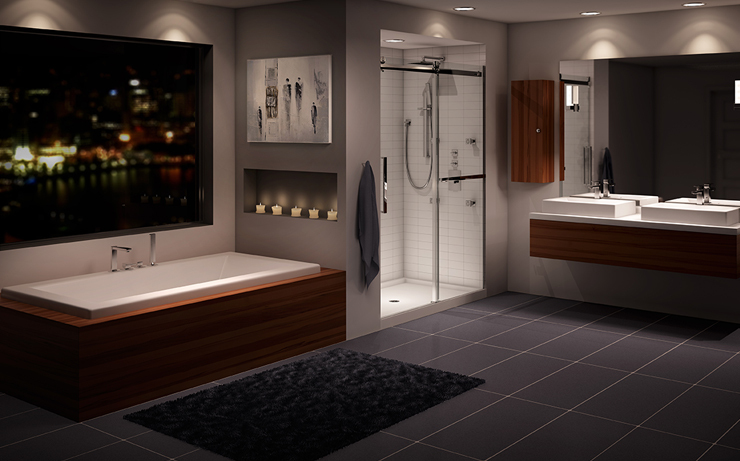 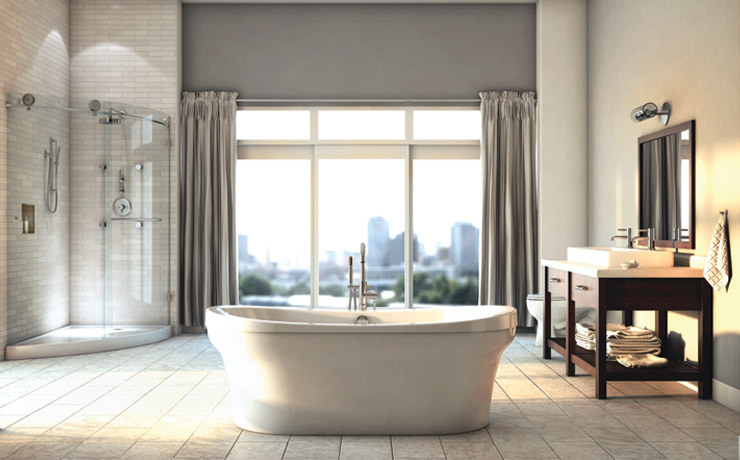 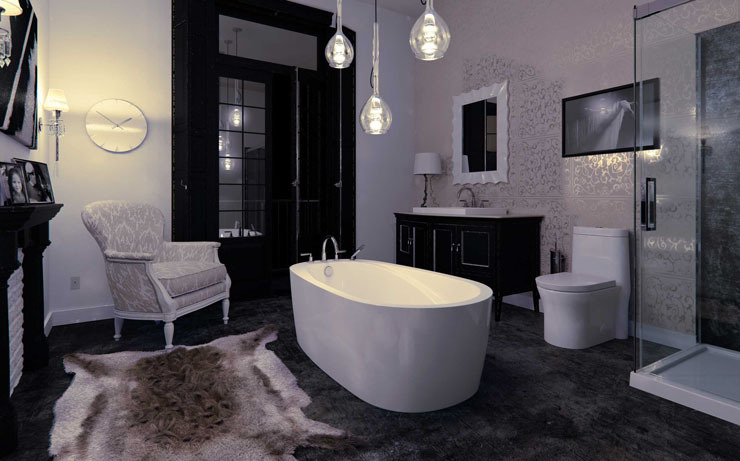 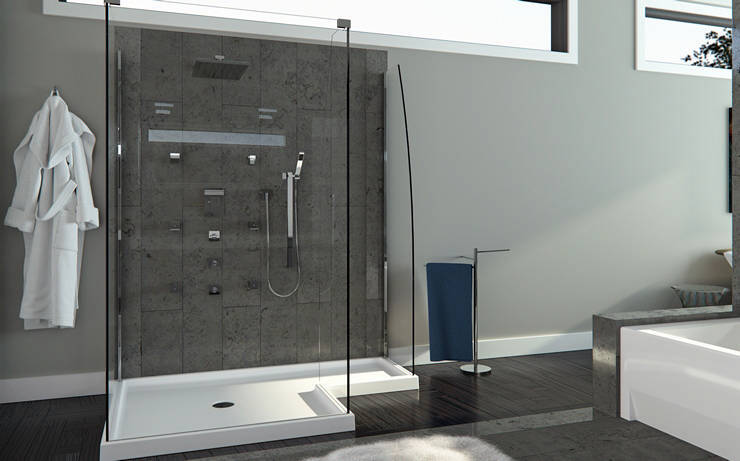 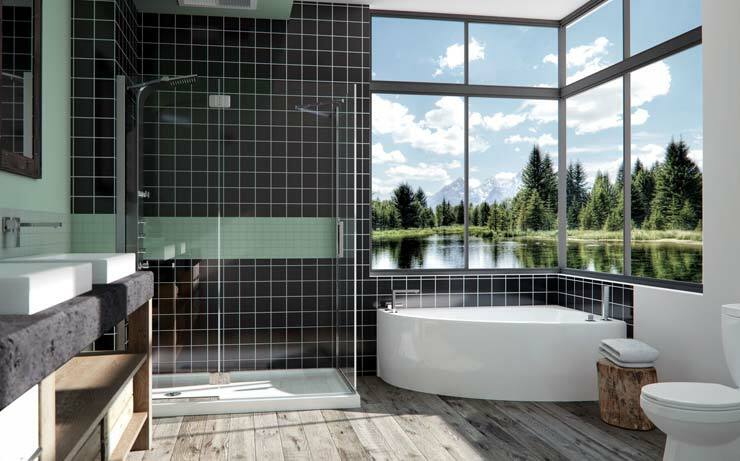 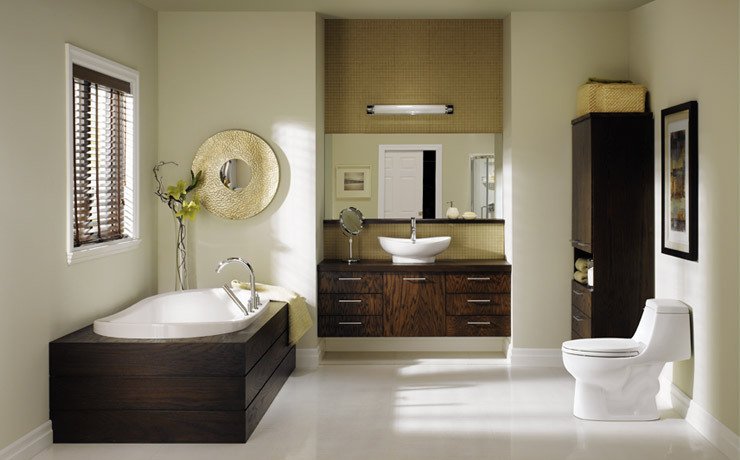 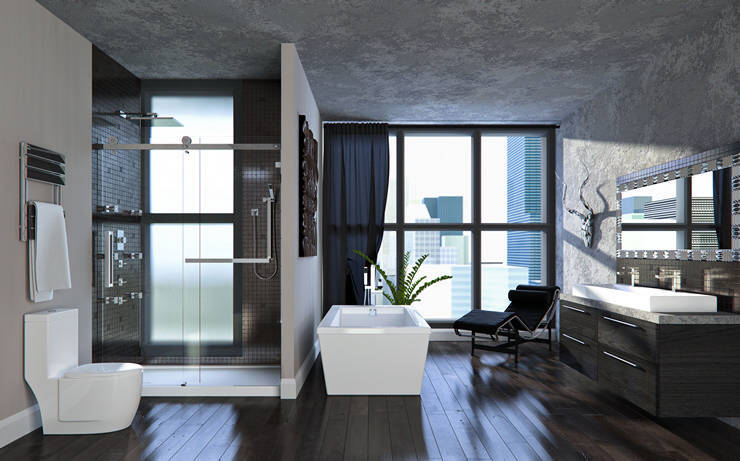 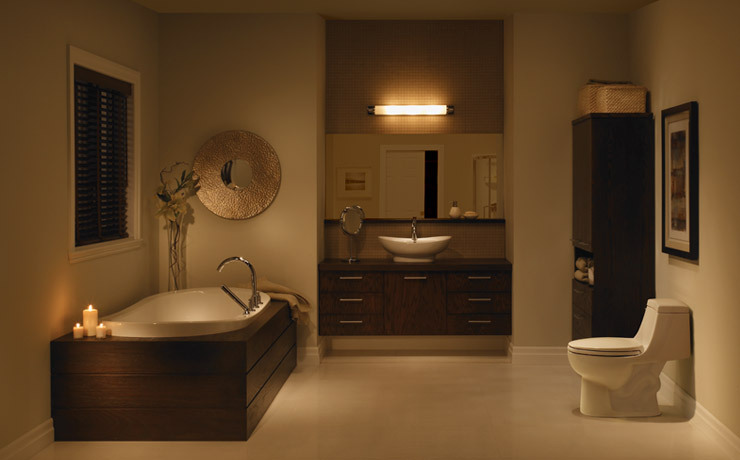 ZEN suite in contemporary style features rectangular bathtubs available in many sizes and configurations. 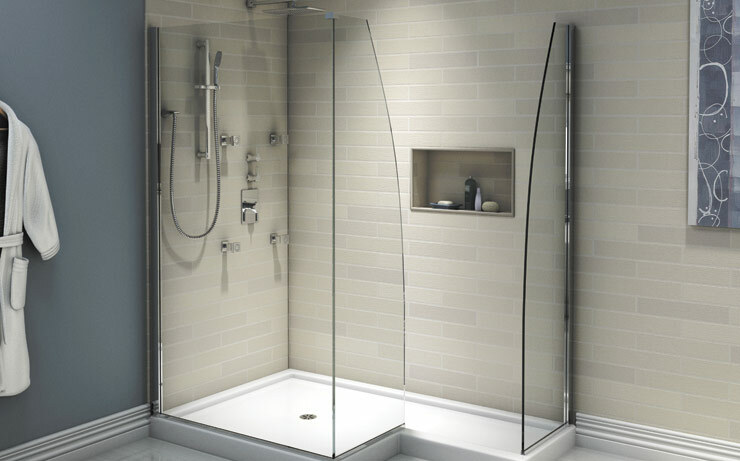 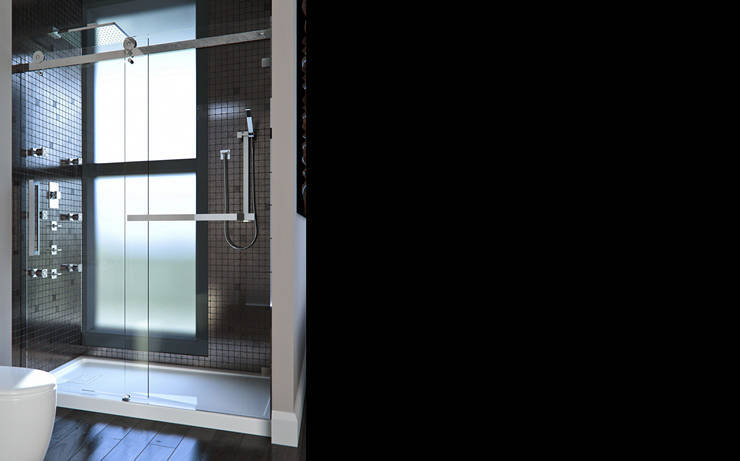 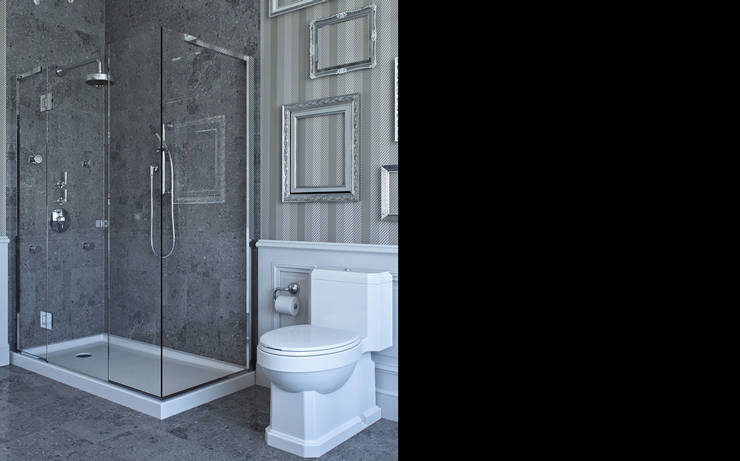 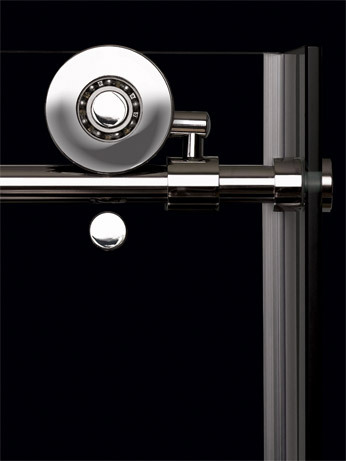 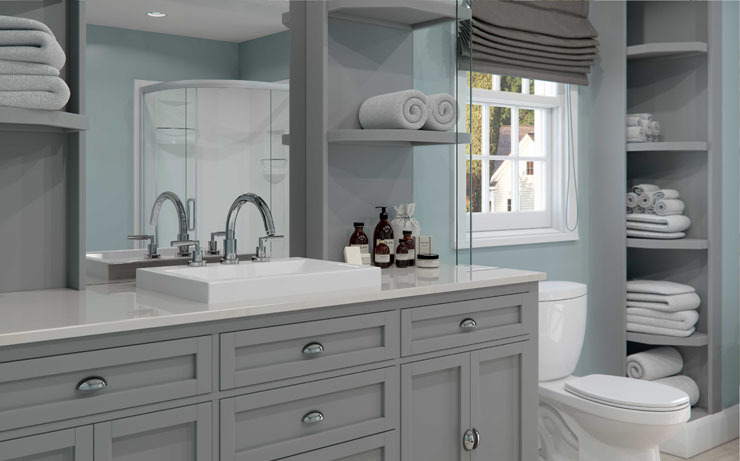 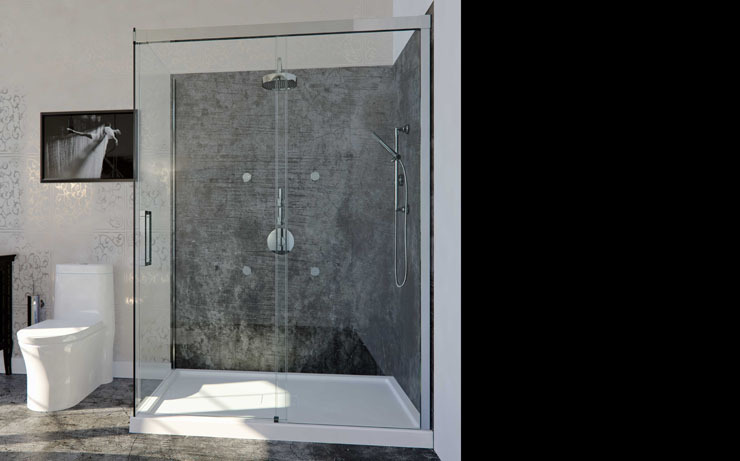 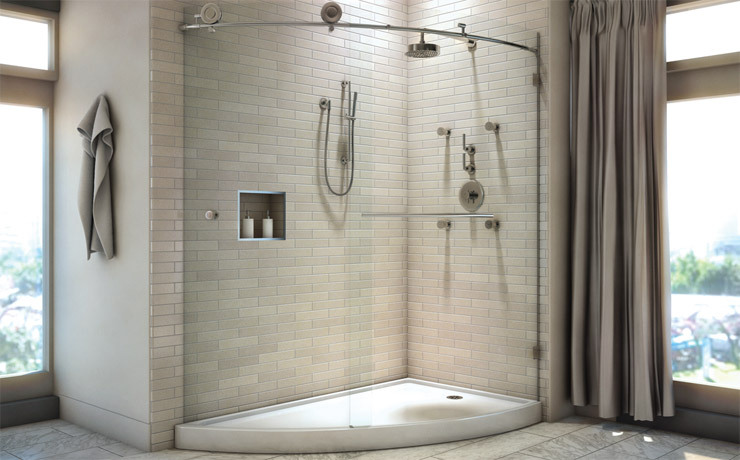 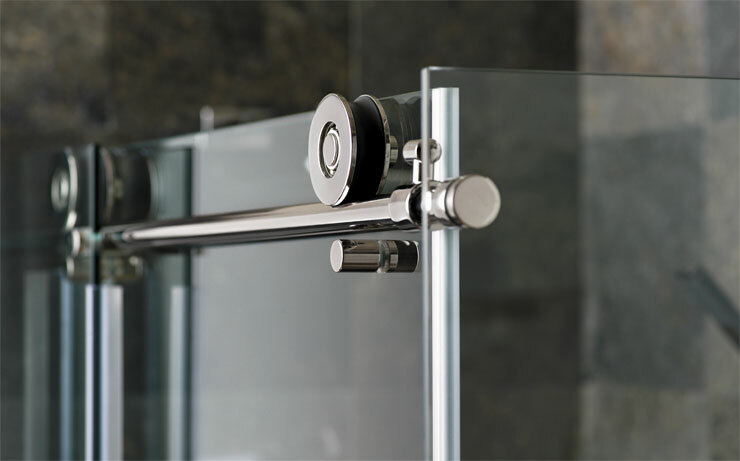 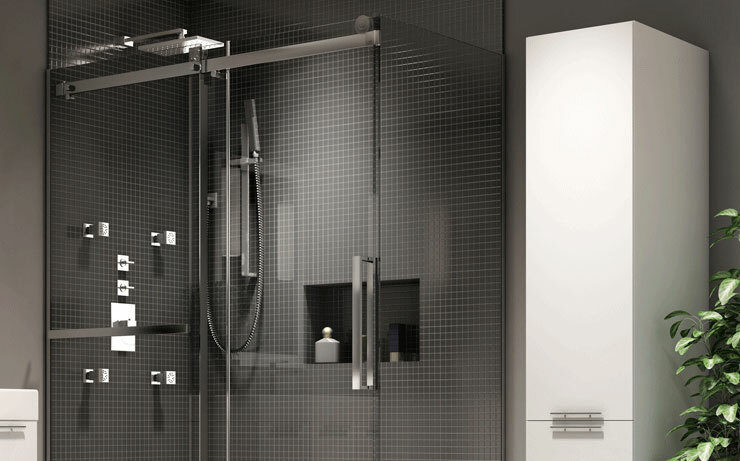 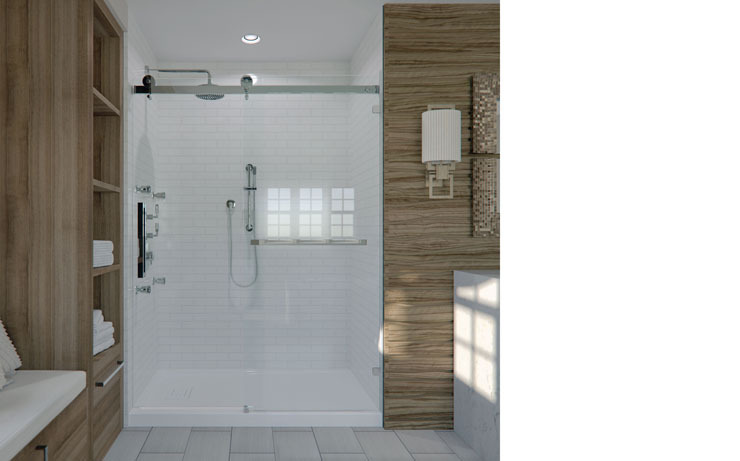 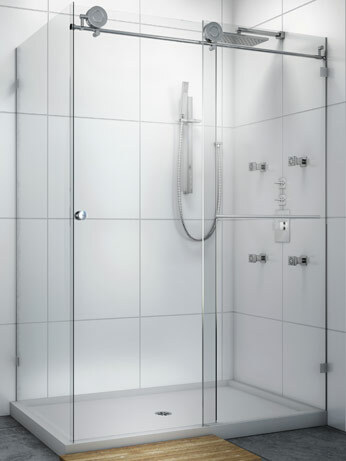 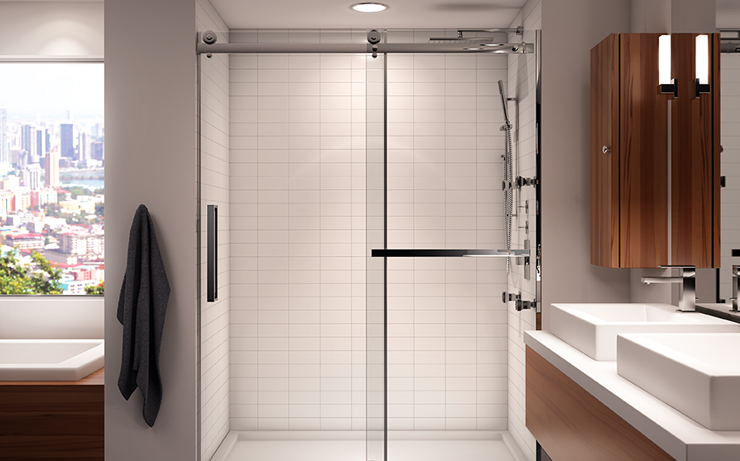 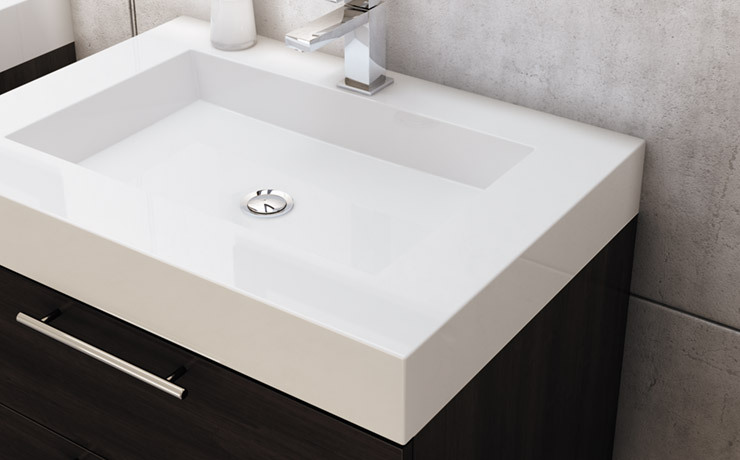 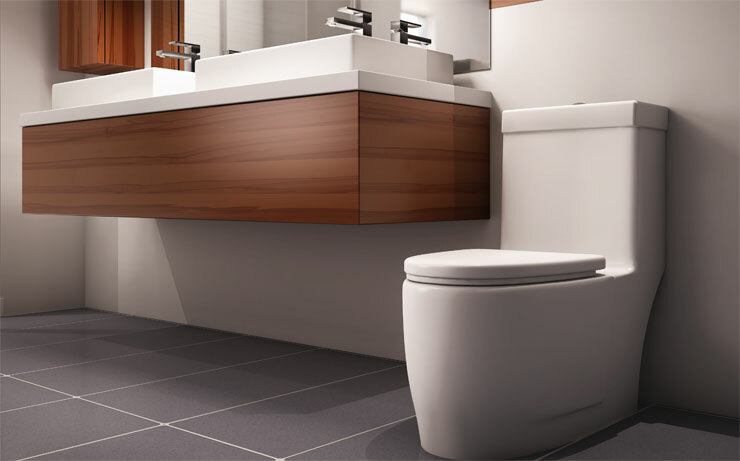 The streamlined design of this broad line will provide the comfort you expect and will lend a touch of sophistication to your bathroom. 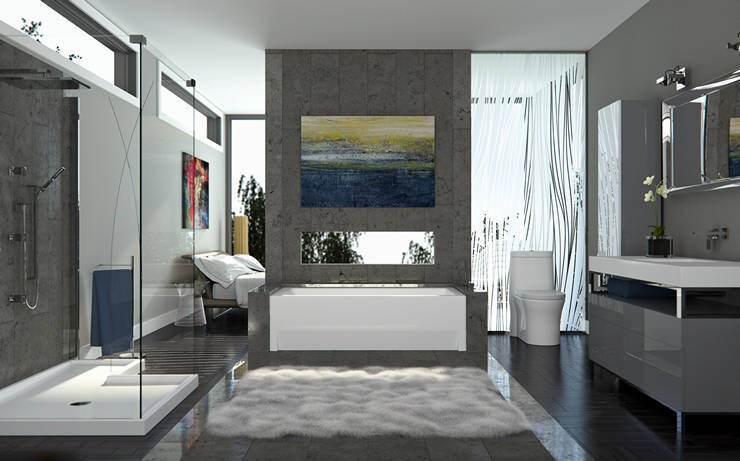 With its subtle lines, ZEN perfectly blends into the serenity of your environment. 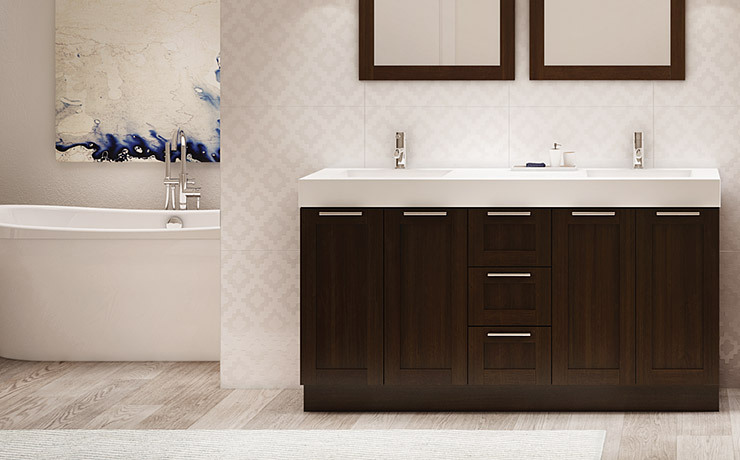 Halfway between contemporary and traditional, this tasteful blend of lines and volumes brings undeniable elegance to your bathroom decor. 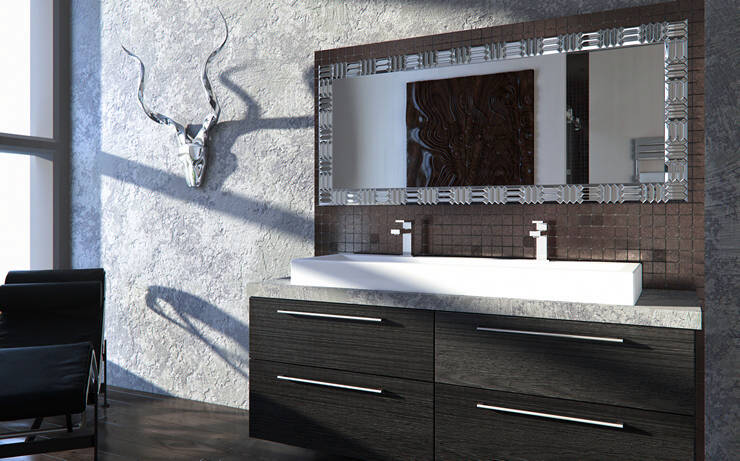 This collection is designed to evoke an atmosphere of serenity and perfect harmony. 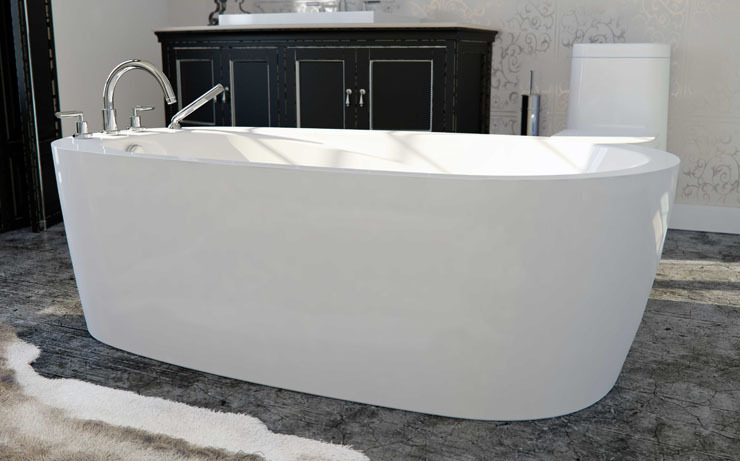 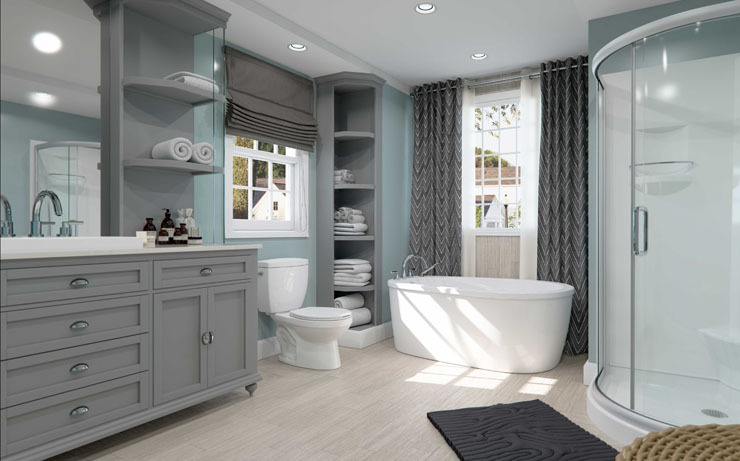 BELIEVE suite in transitional style features ergonomic and comfortable rectangular bathtubs, available in several extended formats for those who like to bathe with a partner. 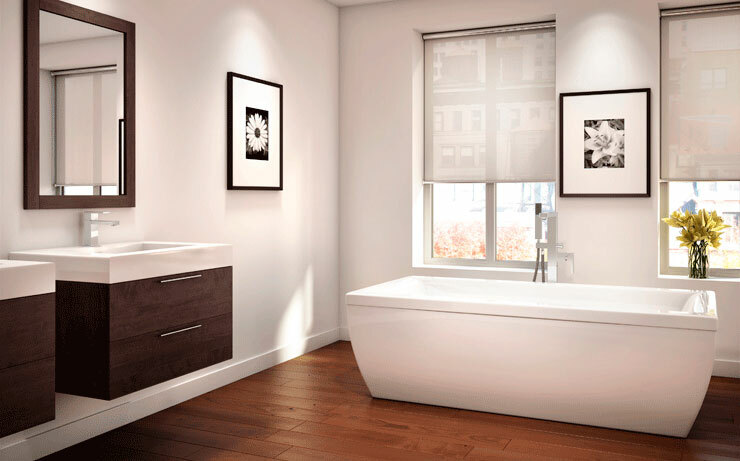 With its oval bathtub as the central element of a transitional style ensemble that features a blend of curved and straight lines, REVELATION suite fits perfectly in a subtle decor with muted earth tones. 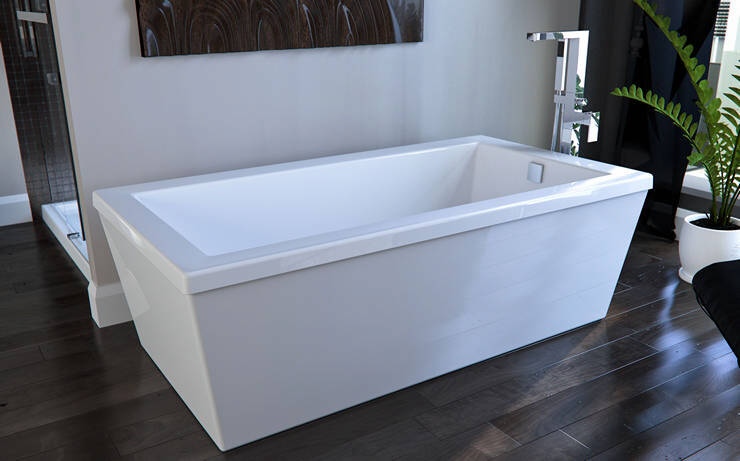 Available in four sizes, the REVELATION bathtub is particularly comfortable with its two opposing headrests and its integrated armrests. 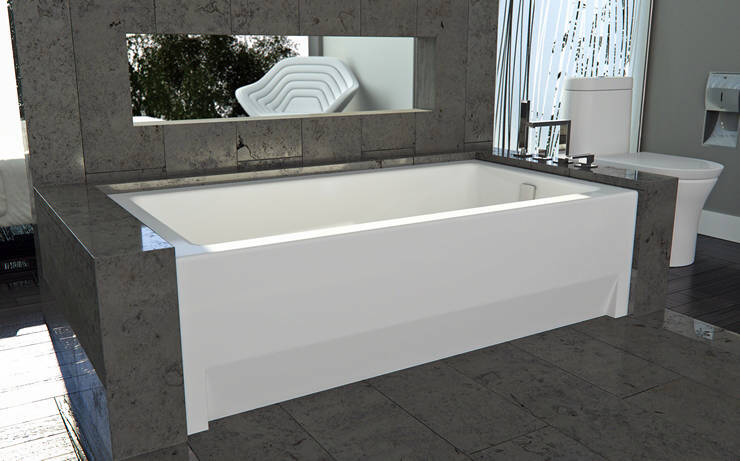 The Saphyr suite, with its freestanding bathtub and organic lines, appeals to those who like to relax and enjoy a bathtub with considerable depth.